Excuse me, what's the difference between digital zoom and optical zoom? They're the same thing. 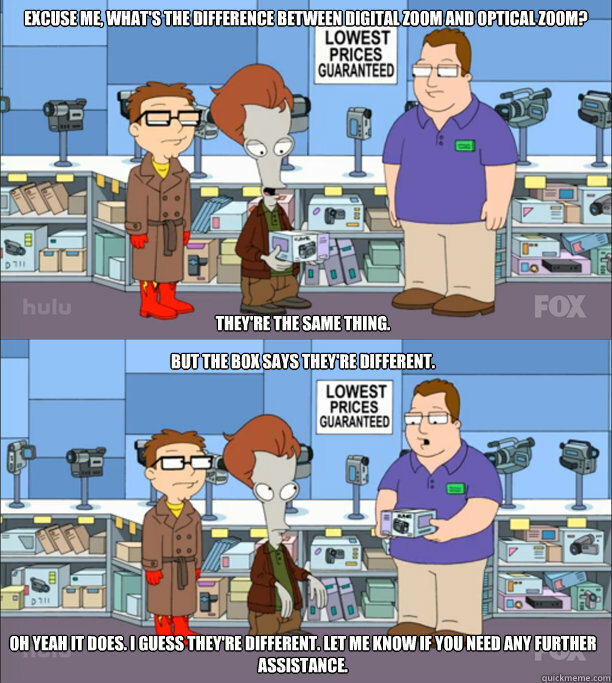 But the box says they're different. Oh yeah it does. I guess they're different. Let me know if you need any further assistance.